Do you live in accommodation without a garden? Maybe you have a disability which prevents you from bending down or kneeling to plant and tend garden beds? 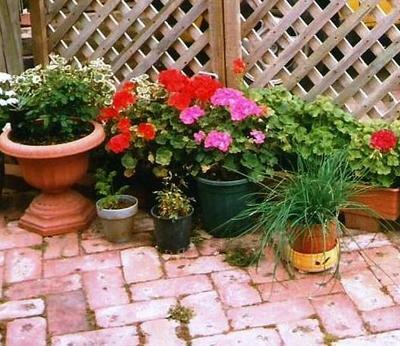 Would you like to have plants in pots or other containers but don’t want to spend lots of money on them? 1. Be creative when thinking about containers. Old teapots, kettles, saucepans and pottery items no longer used in the house can make quirky containers. Some can be painted if you wish. Drill a few holes in the base for drainage if possible. If not, put a layer of gravel in the bottom of the container before filling with good quality potting mix. Succulents grow well in this type of container. These containers can be put on a shelf for easy access. 2. A wheelbarrow that has seen better days makes an excellent container for vegetables. Add holes for drainage if necessary. If the wheelbarrow is very rusty, line with shade cloth. 3. An old bath tub on bricks is a solid container and can sometimes be bought as cheaply as $5 at a garage sale if it is not in good condition. Large plants can be grown in a bath tub. This is a good container for someone who is unable to bend over. 4. New plastic pots can be bought cheaply at discount stores. They will not last as long as ceramic or clay pots but have the advantage of being lighter to lift. 5. All sorts of second hand pots can be purchased at garage sales, markets, through advertisements on community notice boards and through Gumtree. Watch ads on sites like Freecycle, Ziilch and OzRecycle for giveaways. 6. An old rainwater tank can be cut into two or three extra large containers using an angle grinder. A half tank makes an excellent raised garden for someone with mobility difficulties. Make holes in the bottom to aid drainage. Fill the bottom with free gravel or rocks/bricks and then fill with soil. You may be able to get some free soil. If you have to pay for soil, this expense needs to be considered. Perhaps family can rally round and pay for the soil and delivery (or get it for you in a trailer) as a practical present. 7. Think outside the square. Old pelmets can be attached to a fence to make a vertical garden for growing strawberries, small vegetables and annual flowers. 8. An old toilet can be used as a container if you have a sense of humour. 9. Polystyrene boxes from the supermarket or fruit and veg shop are lightweight and it is easy to make drainage holes in the base. 10. 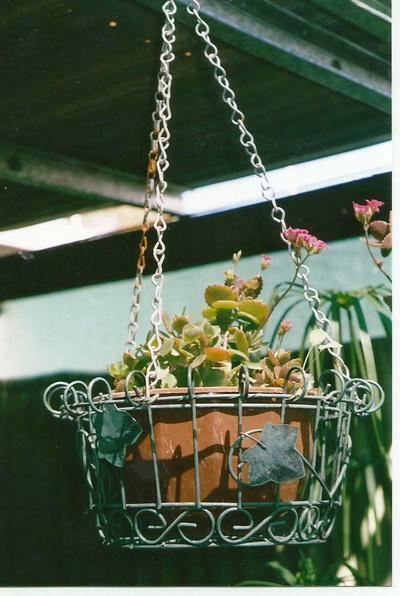 Chains can be added to an old wire basket to make a hanging basket. Pop a plastic pot inside. An old bicycle basket can be attached to lattice work or a wall and lined with coconut fibre to make a container. Gardening in containers can be lots of fun and doesn't have to be expensive.